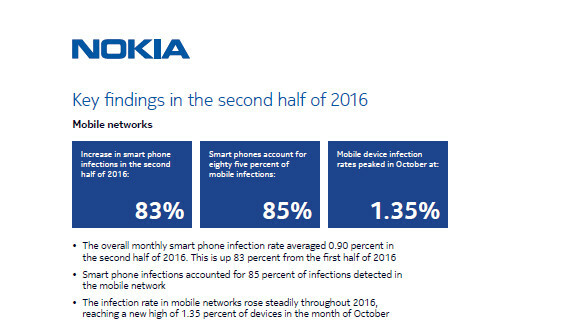 The latest report reveals a 400% increase in the smart phone infection rate in the past 12 months. 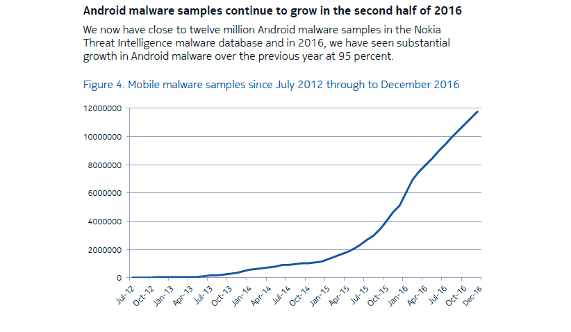 Further, smart phones were targeted most often in July through December, accounting for 85 percent of all mobile device infections and smart phone infections increased 83 percent during this period, compared to the first half of the year. The latest Threat Intelligence Report also highlights major vulnerabilities in the rapidly expanding universe of Internet of Things (IoT) devices, underscoring the need for the industry to re-evaluate its IoT deployment strategies to ensure these devices are securely configured, managed and monitored. 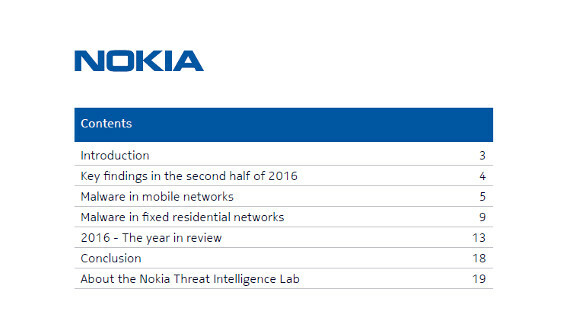 The Nokia Threat Intelligence Report aggregates data from deployments of the Nokia NetGuard Endpoint Security (NES) network-based anti-malware solution. 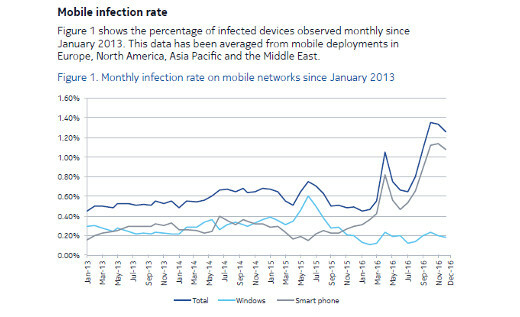 NES analyzes traffic patterns from within service provider networks for evidence of malware infections in more than 100 million devices worldwide, including mobile phones, laptops, notepads and a broad range of IoT devices. Read the report to learn more.